One of the biggest myths when it comes to healthy food is that if it’s good for you (like coconut flour bread) it can’t also be genuinely delicious. Nothing could be further from the truth though. A slice of fresh homemade bread doesn’t have to be full of carbs and gluten to taste good. 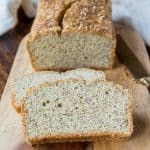 With this simple paleo and gluten free Coconut Flour Bread recipe you can enjoy a delicious low carb and keto sandwich anytime you feel like it. I’ve had a fascination with coconut flour for over 3 years now. The main reason being that everyone said it was difficult to work with – and it is, if you’ve never worked with coconut flour before and don’t know what you’re doing. It behaves nothing like traditional wheat flour and – consequently – it took me many months of experimenting to consistently get it right. My first big coconut flour success were these amazing Coconut Flour Pumpkin Muffins. I was hooked. I wanted to not only learn everything I could about coconut flour, but also how best to cook and bake with it. It greatly helped that my entire family absolutely loved the gluten free coconut flour muffins I had started making. After posting pictures and the recipe for them on this blog, they received a ton of raving comments. This ultimately lead me to continue experimenting and – over time – figure out how to make delicious coconut flour mug cakes and pancakes as well. Those three recipes were a huge success. So I decided to focus in on them and write a digital eCookbook in which I shared the ins and outs of Coconut Flour Muffins, Pancakes & Mug Cakes. You can get it HERE! Some time after publishing the eCookbook, I also wanted to figure out how to make bread using coconut flour. In fact, I’ve been testing coconut flour bread recipes for over 6 months now. Crazy, right? I know! You may wonder why I would want to be making bread with coconut flour. I don’t eat gluten free and this is not an exclusively gluten free blog. 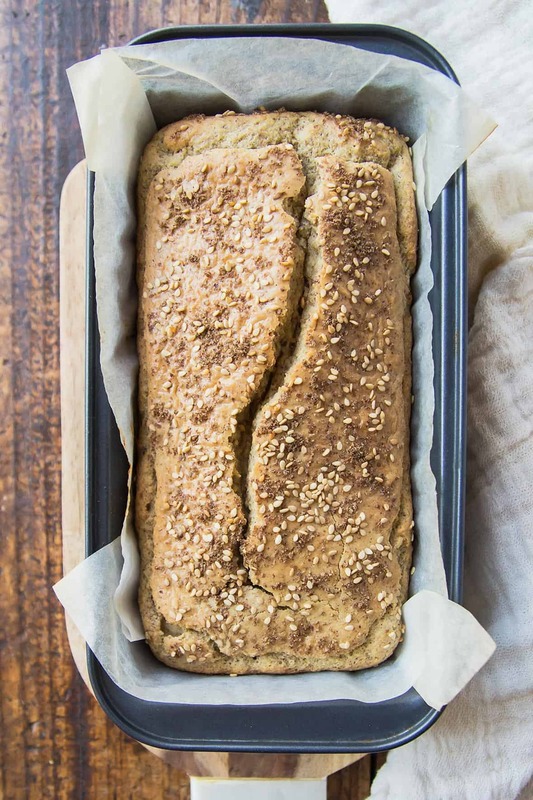 So why not just enjoy hearty clean eating whole grain breads (like this awesome Spelt Bread)? Well, it turns out my husband can’t enjoy the pleasures of gluten (anymore). He had some allergy testing done during a general health check-up earlier this year. We always suspected he was dairy/lactose intolerant, but this test showed he is also moderately allergic to gluten. I am no expert on allergies or food sensitivities, but I knew my husband would have an incredibly hard time giving up bread. 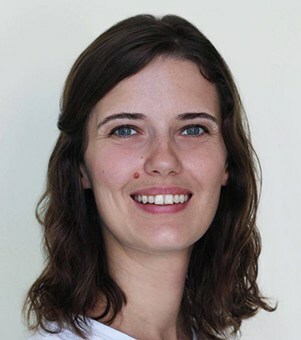 Since learning about these results though, he has realized that whenever he ends up eating gluten – especially white bread – he is noticing the negative effects (extreme bloatedness) on his body almost right away. I’ve heard about the theory that sourdough bread – due to the fermentation process – may be tolerable for him and I am experimenting with that too, but until I’ve perfected my sourdough starter and bread making techniques, this gluten-free coconut flour bread is carrying us (him) through. I started out with trying a few coconut flour bread recipes I found online. Some ended up dry, gritty, or eggy, while others tasted great but the process was overly involved or the batter ended up overflowing and baking onto my oven floor. 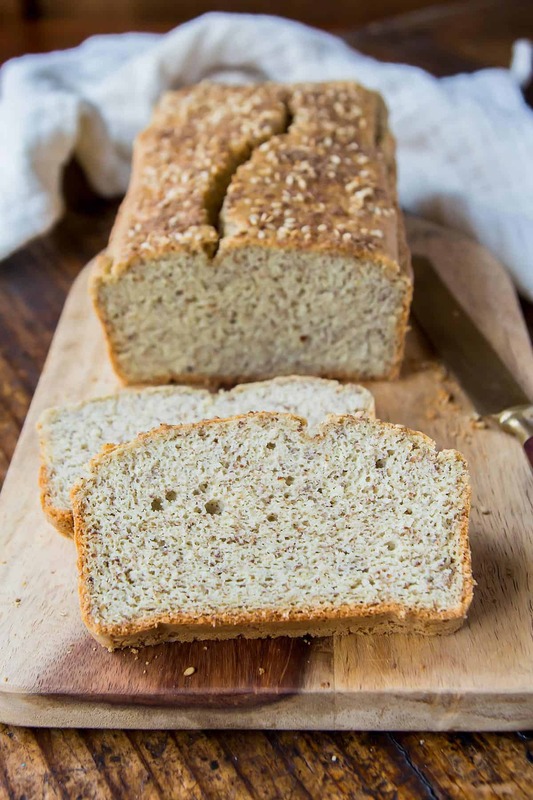 So – after many months of trial and error – I came up with this simple coconut flour bread recipe that is super easy to prepare, fits my 8×4-inch loaf pan perfectly, and results in a great loaf of (low carb) coconut flour bread. To make the bread extra low carb omit the optional honey or replace with sugar-free monk fruit syrup. 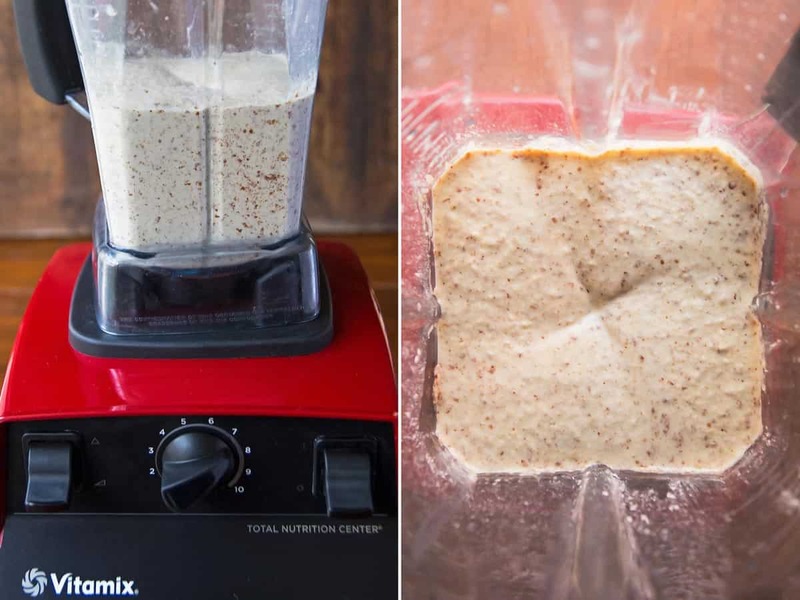 It’s literally as easy as putting all the ingredients into a blender (I love my Vitamix for this), then pouring the batter into a parchment lined loaf pan. Since this is a gluten free recipe there is no danger of ‘over-developing’ the gluten in the blender. If you don’t have or don’t want to use a blender, you can also mix the batter by hand with a wooden spoon or your handheld mixer. Now that I have figured out this coconut flour bread loaf, I went ahead and also turned it into a coconut flour banana bread version. Even a coconut flour zucchini bread would be perfect for the season. Unfortunately, I have not been able to figure out coconut flour bread with no eggs yet, so vegan coconut flour bread has stayed out of reach so far. Coconut flour bread is very filling (dense) and I have a feeling you will not eat it all in one sitting. So the only thing more important than how it’s made, is how it’s stored. I’ve tried storing bread made with coconut flour at room temperature, but unwrapped it dried out very quickly and wrapped it spoiled within 2 days. Probably due to the high egg and moisture content. The best way to store this coconut flour bread – in my experience – is to wrap it tightly and put it in the fridge. I’ve used ziploc bags but I suppose you could use a regular plastic bag, tupperware container with lid, or – my personal favorite – a Beeswax Food Storage Wrap . Coconut flour absorbs a ridiculous amount of liquids. Meaning bread made from coconut flour is going to be VERY different from store-bought bread. In fact, if you’re hoping to end up with something as fluffy as white Wonderbread, you will be disappointed. It simply does not happen and scientifically can not happen just because coconut flour is inherently a lot denser, more filling, and more nutritious than wheat flour. With that said, it hasn’t been an issue with anyone in my household (despite them all being big bread eaters). 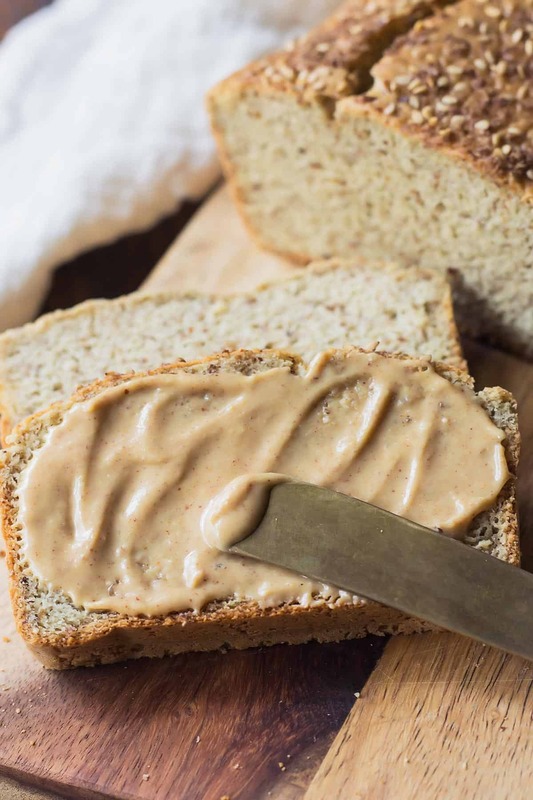 This paleo bread substitute is indeed a substitute, but it is delicious and holds up well to your favorite toppings (we are very partial to almond butter) and can even make a very satisfying sandwich. First of all, because I recommend storing it in the fridge, I also highly recommend lightly toasting the bread slices before eating. This way you won’t be eating cold bread and you’ll have the bonus of adding a lovely – lightly crunchy – texture to it. Yumm! And secondly, you need to slice this low carb sandwich bread a certain way. Because the loaf doesn’t rise super high, slicing it the usual way doesn’t leave a lot of surface area. Reader Shelly A. left a comment sharing a great workaround trick that’s just pure genius. I’ve been using it ever since. Slice the entire loaf vertically into 2-3 big pieces. Then slice each piece horizontally into 4 slices. You get a lot more surface area that way – perfect to hold anything from ham and cheese, tuna salad, lettuce, etc. If you need a visual guide to this slicing method watch the video below. I am demonstrating the sandwich slicing hack towards the end. As you might have noticed by now, I love cooking and baking with coconut flour simply because it is a healthier alternative to other flour. 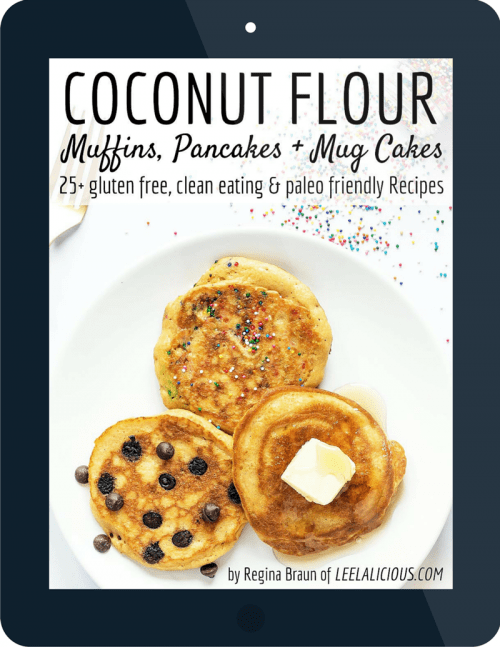 Which is partially why I wrote an eBook dedicated to all things coconut flour. It focuses on sweet recipes for baked treats. You can get a copy of it HERE! Here is a video I made to show you in detail how to make coconut flour bread. A warm slice of fresh homemade bread doesn't have to be full of gluten and carbs. 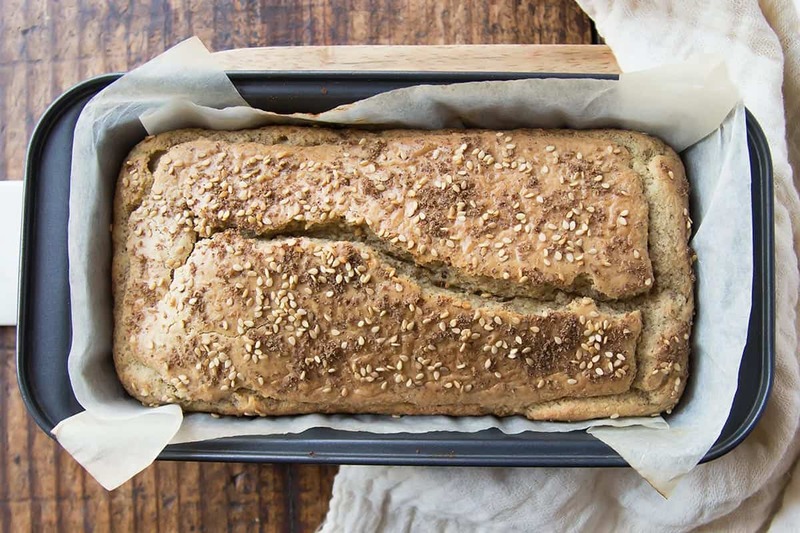 This paleo and gluten-free Coconut Flour Bread proves it. 1/3 cup dairy free milk unsweetened almond milk, coconut, etc. 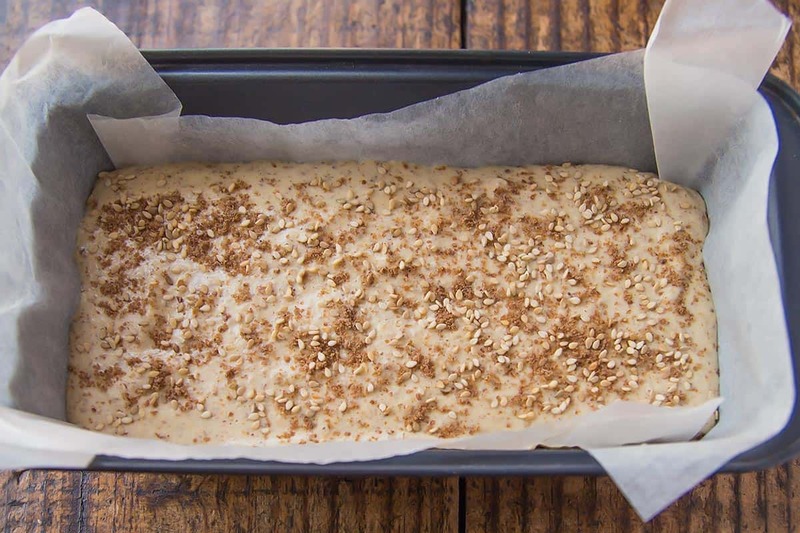 Preheat your oven to 375° F. Line a 8x4-inch loaf pan with parchment paper. The easiest way to whip up the batter is by simply combining all ingredients in a blender. Pulse or blend on low speed until everything is fully combined. Your blender will have an easier time, if you add the wet ingredients first. Alternatively, whisk together dry and wet ingredients in separate bowls. Then add the dry to the wet mixture and stir together with a wooden spoon or hand mixer. Fill the batter into the prepared loaf pan and sprinkle sesame seeds and a little ground flax over the top. Bake the Coconut Flour Bread for about 25-30 minutes until a toothpick inserted in the center comes out clean. Let the bread cool in the pan for 10 minutes, then move to a wire rack to cool fully. Store refrigerated for up to 1 week. Lightly toasting the bread slices is highly recommended. TIP: For extra large sandwich slices, cut the loaf into thirds. Then slice each piece into 4 slices horizontally (instead of vertically). You'll end up with 12 slices and more surface area for all your toppings. Hello, I am a bit obsessed with calorie counting to keep slim 🙂 Having said that, I was wondering what is the weight of one portion size? The nutritional chart does not provide the portion size. I can’t wait to try this recipe as my partner and I are sensitive to gluten. Please and thank you! I want to try this but I feel that 4 eggs is a lot. Can I add more liquid to the flax to create “flax eggs”? Also, I plan to use kefir in place of the non-dairy. I make a lot of quick breads and sofa bread and I always use baking powder and baking soda, would this be ok in this recipe? My loaf tastes great. Unfortunately, though It looked wonderful when it came out of the oven, it fell back down to its original size after the 10 minutes of cooling in the pan. Could you give advice on what the rising problem is? Hi Greg, sorry to hear about the rising problems. It could be the sodium-free baking powder but I honestly have no experience with that. I’ve used coconut milk. Works just the same. This coconut flour bread is excellent! It’s very tasty and moist and very welcome on a candida diet. Thanks so much! I found this website about a month ago specifically seeking a really tasty bread recipe…took my chance on this one. (I say this bc in the last few years I’ve had many blah results, too time consuming and expensive for poor results). This, by far, is THE BEST quick bread recipe I’ve found! I enjoy mixing different seeds into this recipe such as poppy, hemp, pumpkin, and of course, sunflower. Sometimes, I add a Tbsn of honey! Perfect EVERY SINGLE TIME!! Thank you, Leela!! I just subscribed! Yay!! Wow Diane! Thank you so much for your great comment. I am so glad to hear you enjoy this bread recipe and I love your idea of adding many different seeds. Next to the ingredient arrowroot/tapica flour it indicates (optional)–can you omit this ingredient?, would that not alter the other ingredients in the recipe? thanks, I am very interested to try this bread. I am so glad to hear you liked the flavor of the bread. I usually grind my own flax seeds to make flax meal. I am not familiar with fan forced ovens – is that like convection? Maybe it was a little overbaked then? Do you have a Zucchini Bread version similar to this? Made this and loved it. I even messed up the recipe and didn’t put enough baking powder but was so impressed with the “bready” flavor I want to make it again! Also, do you think olive oil would work in this recipe? Or would the flavor be off? I typically use olive or coconut oil but I wouldn’t want to double up on the coconut. I used butter the first time around. Hi Joe, I only just made a banana bread version of this, but pumpkin and zucchini bread have been on my mind a lot. Right now I am still knee-deep into THanksgiving recipes, but I’ll make it a priority afterwards. I don’t like the taste of coconut at all. Will I taste coconut with this recipe? If even a hint of coconut can be tasted, can I substitute a different flour, like almond or chickpea? Thank you! This recipe is thoroughly tested for coconut flour. If you don’t care for any coconut flavor at all you might be better off looking for an almond flour bread recipe. I don’t find it tastes like coconut, but if you are overly sensitive you might feel different. Another option would be flavoring it with lots of herbs like rosemary or spices like garlic powder to really make sure those flavors dominate. M wife can’t do dairy, eggs or peas (which used a lot in gluten free) so I have been using an Egg replacer by Bobs Red Mill. I use coconut milk and gluten free baking powder. My wife loves it so thanks for your recipe! I am so glad to hear egg replacer worked for you in this recipe and that your wife enjoys the bread! I thoroughly enjoy following your easy steps to making coconut flour bread. Of the ones I’ve tried, this has got to be the best coconut flour bread recipe I’ve ever attempted. Thank you! I am not a big bread eater and am certainly not a sandwich lover, but my husband is. Recently – for health reasons – I made him a sandwich using this bread and put it in his lunchbox. He was very impressed. Said it was a lot more satisfying than other bread and I guess he felt more energized after. Both of which are a double win in my books. I wouldn’t say there is such a thing as coconut flour sandwich bread, but if anything I’ve tried comes close, this is it. Thanks Regina! What a fantastic comment. Thank you for your great feedback Sabina! Husbands (and kids) approving is always the ultimate recipe test for me. So glad he enjoyed his sandwich and it even left him filled and energized!! Made this tonight and it was fantastic, can’t wait to make it again. It sort of reminded me of cornbread. Thanks for this great recipe, most coconut flour baked goods don’t have such a great texture. I made this today and used my VitaMix. I substituted psyillium powder instead of flax. The 1/3 cup of almond milk was not nearly enough liquid. It strained my blender. I kept adding almond milk but it only losened up a bit. I had to bake it for 50 min. It rose beautifully but collapsed while cooling. The taste was good but not suitable for sandwiches. Not sure if the psyllium was the culprit or the high altitude. I made this and it is so delicious and went fast! Can I dublicate the recipe? Thanks for this recipe, I really liked the bread. I used refined coconut oil and about 1/2 cup almond flour because I added some hemp seeds to the mix too. It turned out really nice. Sorry not 1/2 cup almond flour but 1/2 cup almond milk. What kind of oil can be used besides avocado? Olive? Coconut? Looking forward to trying this recipe! Just made this and it was WAY better than I could have imagined. Even my boyfriend was surprised, and he normally swears off all health foods. I did add a hint more almond milk, plus fresh chopped rosemary. I do have one question though — is the nutritional info for the entire loaf or just a slice??? What can I substitute for the 1/3c flaxseed meal since I cannot have seeds? I’ve made coconut flour sourdough starter, and it’s beautiful. Do you know where there are recipes using coconut sourdough starter? I’ll be experimenting this wknd, hopefully making up successful recipes, but I’d appreciate any recipes or websites you can direct me to. Yes! It is what you say, quick easy, delicious loaf of wholesome Bread. It has a nutty taste, and a delicate texture. Thank you so much for this recipe. I am sharing with my friends for sure! I made this recipe at least 5 times. It is really quick and delicios! Just i bake it longer. Thank you! Baked at 375 in an 8×4 pan on the top shelf in the rear of the oven for about 35 minutes (more time due to less oil, more milk). THIS IS SOOOO GOOD! 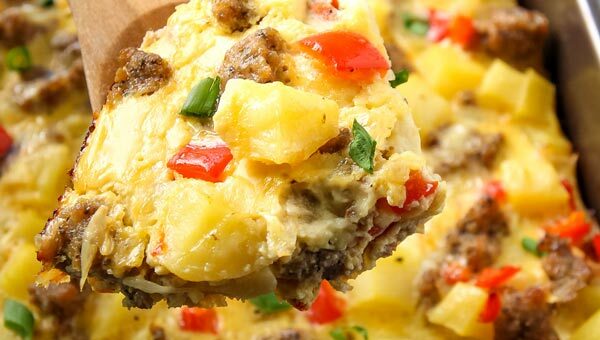 I really wish I added some fresh shredded cheese on top of the loaf while baking (like some fresh unpasteurized parmesan or cheddar – OOH… savory muffin idea). My husband was sneaking slices of this off the cutting board (and he’s not even GF). My next loaf will be similar, but less egg yolk, more egg white, apple cider vinegar, and psyllium husk. OMG, thank you both. Tried your version today, Shelly (with the ACV and psyllium husk, about 2 tsp ea) and o la la. This was my first deliberate GF bread/first time baking w/coconut flour, and it’s a total success. I keep going back for another slice… (as the nor’ easter rages outside my window panes). Very nice with my homemade cream of celery-scallion-potato soup. KD…did you still use all the other ingredients (with noted amount changes), and just added the psyllium and ACV? Wanting to make this soon! I made this today and it was pretty much flat. It hasn’t risen enough to make any kind of sandwich out of it which I was hoping would be the answer to a low carb bread for our family. I used grapeseed oil which is the only thing that was different. I blended everything in the Ninja. Is it possible that my baking powder is the issue? I think I’ll give it another shot but using different baking powder. It’s all that I can think would have been my problem. I appreciate any insight you may have. Thanks! Oh no! I am sorry to hear it didn’t work out as expected. Expired baking powder could be one culprit. Also, are you using a 8×4-inch loaf pan? For a larger pan you may need to increase the recipe to get it to be tall enough for sandwich slices. The loaf pan wasn’t the issue. I did try again with another baking powder but this time I subbed Chi seeds for the flax. This time I halved the recipe and used my mini loaf pans. They still didn’t rise. I put the halved recipe in two tiny pans and they ended up the height they went in the oven. The flavor is good at least. I’m determined that they will come out so I think next time I’ll use the kitchen aide mixer and get it whipped up more. Thank you for replying. If using an 8 x 4 pan, you can get 8 traditional sandwich-sized slices. Cut the loaf, top to bottom, in half. Sliced those halves side to side into 4 slices… yielding 4×4 inch slices of bread. YUM! If using a 9 x 5, you can get 9 to 12 slices by cutting the loaf top to bottom in thirds, then slice sideways. What a great idea for slicing sideways! I tried this today, I did some changes as I am mostly going for low carb. I used fresh goats milk, instead of alternative milk products. Used corn starch instead of arrowroot. It turned out moist and lovely tasting. I used more milk than in the recipe about a 1/2 cup more. But it worked up great!!! I baked this bread, it is actually delicious, but doesn’t taste like bread to me, but more like a cake. Subtle taste of coconut and honey. The texture is amazingly moist and airy, similiar to a banana bread. I will not make this recipe to satisfy my bread craving, but cake craving. I should have mentioned that I used organic coconut oil. Also I will be curious to replace the eggs for flax meal and water and see the difference. If I try I’ll post a comment. Anybody tried? Hi Sanatani, if you used virgin coconut oil, then yes the coconut flavor will be quite pronounced. It’s definitely nothing like a strong yeast bread recipe, but a quick bread. So yes, that could remind of cake or a sweet bread loaf. If i am making using Bread machine (Zojirushi) what setting i need to use? We are hooked on your coconut flour mug cakes — now it’s time to try this incredible bread! 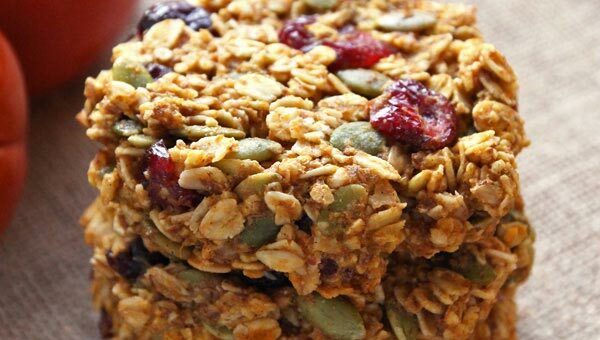 What can I substitute for the flax seed flour! I can’t have nuts or seeds due to the high copper content. Thank you, can’t wait to try the recipe! Found this recipe last night, made it today. Subbed ‘unflavoured oil’ for coconut oil and used Arrowroot powder. The taste? Amazing. The text? Perfect. The loaf-like appearance? Mmm, no. I’m not sure if it was mu choice of oil, or the technique (all ingredients in a Vitamix) but it didn’t do good for the height. I will try it again, perhaps with a third more of the ingredients. Or leave it to sit a little before baking, or cooking lower for longer… I would love this to turn out perfect. It would make a good substitute for bread, while on my Keto Diet! Thanks OP! I love this recipe as is. Its becoming part of our every day diet. However, for the holidays, I was looking for something a little sweeter. Swapped out the milk for a non dairy Carmel coffee creamer and tossed in some cinnamon. Came out great! Next I’m thinking about adding some cranberries and orange zest. Also thinking that Italian spices might make this really good. This was my first gluten free loaf. I substituted cornstarch for the arrowroot/tapioca which I did not have on hand. This was simple, quick and turned out really well. Quite beautiful final product. I wonder would the addition of a touch of salt alter the outcome of the recipe? 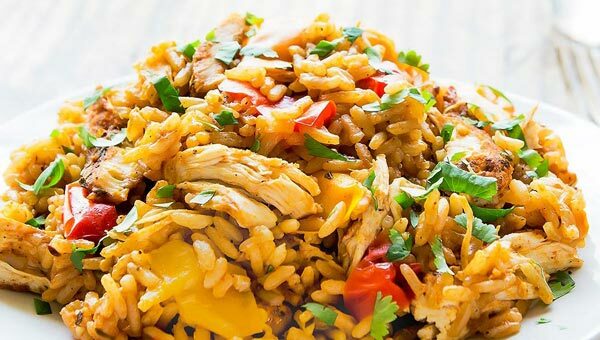 Definitely going to try this recipe for my mom who has diabetes! The only thing I would like to ask is if I can substitute the tapioca or arrowroot flour with corn flour. Do you think this bread would hold up in a turkey stuffing recipe? I’m trying to avoid using any grains and almond floor is out due to nut allergies. My husband recently diagnosed with diabetes and has been craving bread. I made this for him. I didn’t have the flax seed on hand so substituted the hemp hearts I got from Costco. He loved it. Thank you !!!!! Oh I am so glad to hear your husband loved the bread! And great to know hemp hearts worked as substitute. 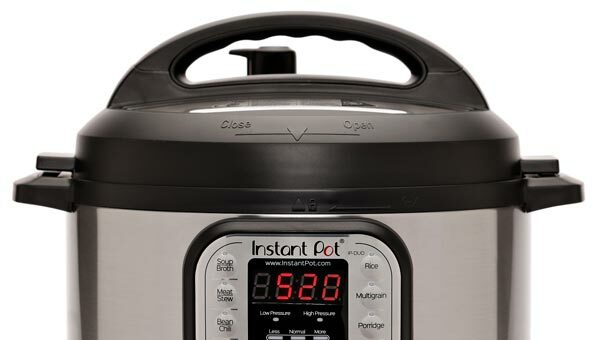 I used this with my Wolfgang Puck pressure oven and it was amazing! So easy. The only problem I have is that it is sooo good. Thanks for the awesome comment Mara. Just had a quick look at what a Wolfgang Puck pressure oven is. Great to hear it work out to bake in there and that you are enjoying the bread so much. Great recipe here. I baked a loaf of this bread yesterday. It’s texture is similar to that of cornbread: lightly-crumbly, both fluffy yet dense, and holds a nice ratio of moisture–a major success when baking with coconut flour. Many products of coconut-flour-based recipes come out grainy and dry to the point where you are nearly choking down your creation. Not the case with this recipe: this bread is very enjoyable to eat, especially when toasted with butter. Compliments to the recipe-maker! Hi. Could I use psyllium husk in place of the flax meal? I was going to ask the same question Amy! Either psyllium husk or protein powder? Interesting recipe. Sounds like a great gluten free and dairy free option to try. I like how you used avocado oil. I use that and sometimes light olive oil. True there is a concern about heating olive oil past the smoking point. And light olive oil has a smoke point that is different than the extra virgin version. I have been struggling to find a good gluten free sandwich bread for my husband too! Yours looks like it makes decent sized slices! I’ll have to try! My mom makes bread and she uses all kinds of flour. I don’t think she’s ever made it with coconut flour. This must taste so good! My son has Celiac and is GF, so we’ll definitely be trying this! Looks good! I have been looking for a good gluten-free bread recipe that holds together well. My issue is that I can’t have egg whites. Any ideas on egg replacements for the 4 eggs in this recipe? If you can find duck eggs, the are supposed to be good option to replace chicken eggs.